Small in size, big on performance. 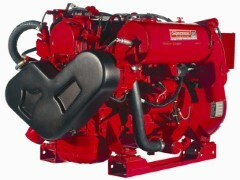 KOHLER(R) 4 to 15 kW gasoline generators are perfect for both cruisers and sport boats. 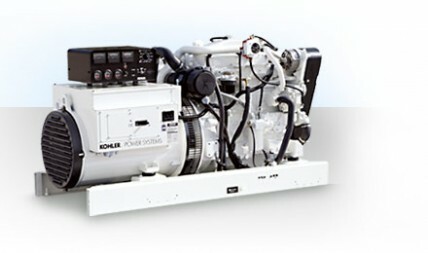 Discover why the world’s leading pleasure craft manufacturers specify KOHLER marine generators – time-tested alternator and reliable 4-cycle engines deliver peace of mind and dependability. Quietly Leading the Way With over 75 years dedicated to developing diesel generators for the marine environment, it’s clear that Westerbeke has always been one step ahead of the competition. Designed exclusively for marine applications, our diesel generators represent a breakthrough in compactness, quietness, and reliability that has become the preferred choice of the most prestigious boat and yacht builders. Dedication to Service Westerbeke’s diesel generator performance is matched only by our customer service performance, powered by a worldwide Distributor and dealer network. 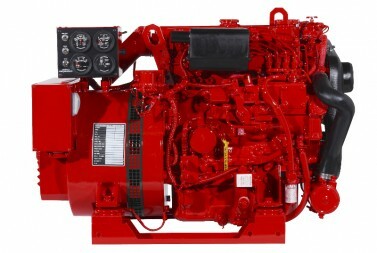 Whether the issue is parts, warranty, or technical service, our diesel generator distributors and dealers are dedicated to making sure that every customer is taken care of in the most efficient way possible. Wherever you are, odds are that friendly Westerbeke marine diesel generator support is close by. Quietly Leading the Way With over 70 years of experience in the marine generator industry and a support network that’s unmatched, it’s easy to see why Westerbeke is the prevailing leader in marine gasoline generators. 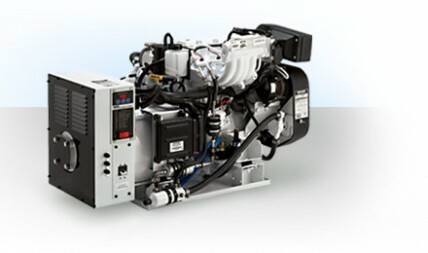 Available in 2, 3 or 4 cylinder configurations, our gasoline generators represent a breakthrough in compactness, quietness, and reliability that have become the preferred standard of today’s discerning boat owner. Running at low RPMs, our marine gasoline generators offer quiet, dependable power options perfect for small and mid-size pleasure craft right up to houseboats. Dedication to Service Westerbeke’s gasoline generator performance is matched only by our customer service performance, powered by a worldwide Westerbeke marine generator Distributor and dealer network. Whether the issue is parts, warranty, or technical service, our distributors and dealers are dedicated to making sure that every customer is taken care of in the most efficient way possible. Wherever you are, odds are that friendly Westerbeke gasoline generator support is close by. Product Line Choose from many gasoline generator models ranging from 3.5 kW to 22.5 kW. For more details about carbon monoxide and Westerbeke low carbon monoxide (CO) emissions gasoline generators, please visit our Westerbeke.